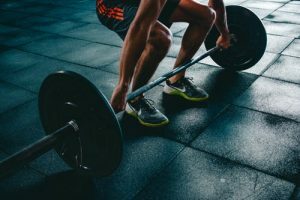 No matter whether you want to look and feel more confident by building muscle or just want to build muscle for the purpose of sports, here is an important list that discusses tips for body muscle development. It’s important to realize that’s not just about lifting weights that affect building muscle, your training schedule, diet, and lifestyle choices also play a large role. 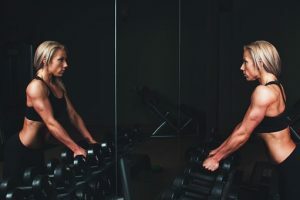 If you want to gain muscle, continue reading this article to discover several helpful tips you can use to build muscle. Before we jump into the ten things you should be doing to grow muscle, let’s at what muscle growth is and what it means. Sarcoplasmic hypertrophy – this type of hypertrophy occurs when the volume of sarcoplasmic fluid in the muscle cell increases. Myofibrillar hypertrophy – this happens when muscle size increases by increasing the contractile proteins. This isn’t to be confused with hypertrophic cardiomyopathy. This is the heart muscle becomes thick leading to symptoms such as an enlarged heart, fatigue, and shortness of breath. Having muscles goes beyond looking good in a tank top in the middle of summer. It’s no surprise that avoiding foods with low nutritional value is important, but you should also eat more protein if you want to build muscle. Foods like chicken is full of high-quality complete proteins. Not into chicken or beef? Try salmon instead. Eggs are also packed with protein, but don’t skip the yolk, eat the entire egg. Eggs are complete with amino acids and vitamins too. After all, amino acids are the building blocks of protein! Amino acids are very much needed to build muscle tissue, so don’t skip it! In conclusion, find protein sources packed with amino acids. Consume 20g of protein every 2-3 hours. About 80g of protein every day is a good amount to promote muscle repair, recovery, and growth. By providing your body with the necessary amount of proteins throughout the day you will be supplying what’s necessary to build and maintain muscle growth. If you want to calculate the right protein amount for you, we recommend 0.5 to 0.9 grams of protein per pound of desired lean body weight per day, depending on how intense you exercise. In other words, the harder your workout regiment is the more protein your body will need for growth and recovery. Make sure however that you combine increasing your protein intake with additional exercise. Without exercise the body stores the protein instead of using it for muscle growth. You probably already know this if you have been working on building your muscles for awhile, but including multi-joint exercises is vital. Exercises like squats, burpees, bench pressing, lunges, kettle-bell swings, and pull-ups are considered multi-joint exercises. Why are these so important to include in your routine? Well, they improve your heart health for starters. These exercises also strengthen your body and improve it’s functionality. Finally, these compound exercises help you burn more calories. Be sure to include low-weight, high rep exercises to build strength. Try to do this once a week. When you do this, a good starting point is 3-4 sets of 15 or more reps per exercise. This is a very important factor when trying to build muscle. Muscle builds during your rest periods between workouts. You should also be rotating your workouts to different areas of your body at different times. This also means to eat healthy meals, adding protein to your diet, and be careful not to over train your body. You should aim to take one or two days off per week so your body can get enough rest. Don’t increase your weight when lifting too quickly. If you do, you’re putting yourself at risk for injury. On the other hand, if you increase your lifting weight too slowly you risk hitting a plateau. Pay attention to how you’re currently lifting. If you’re lifting with perfect form, and your last few reps feel similar to your first reps, you know it’s time to reach for a heavier weight. We all know getting enough good sleep is good for us. For example, poor sleep can attribute to weight gain and eating more calories. In addition, good sleep can increase our productivity and concentration. It also helps reduce the risk of heart disease and having a stroke. It should be no big surprise that it’s no different when it comes to desiring to build muscle. Getting enough sleep is essential when aiming to build muscle. You should aim to get at least eight hours of sleep a night. 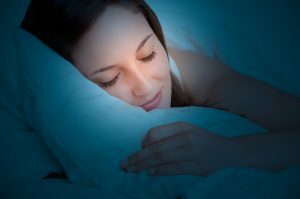 If you’re getting less than eight hours a night, you’re missing out on what benefits you can get from human growth hormone during your nights rest. Human growth hormone helps stimulate growth, cell reproduction, and cell regeneration in humans and animals. By getting less than seven hours of sleep a night, you will stopping your body’s ability to build muscle. If you’re not exactly a beginner but not exactly an expert weight lifter, you might be confused on how many times a week you should lift. Aim to lift weights three times a week. Beginners can start with one or two sessions a week. More experienced weight lifters could possibly lift for more than three sessions a week. Make sure you leave plenty of time for sleep and recovery. Your genetics play a partial role in how well you will build muscle. However, if you feel your genetics are stacked up against you starting from the bottom up can help you transform your body shape. Being young and a male makes it easier to build muscle, but don’t let that discourage you. The best bodies come from hours of training sessions not just genetics. Making a habit of warming up first will help prevent future setbacks and injuries. Thus, this will lead to less progress down the line because you won’t be able to go to the gym because you will be injured. Another reason you should warm-up beforehand is because your mind and body have to get used to lifting something heavy. Weight acclimation warm-up sets help to prepare you for your real sets. 1st warm-up set: 12 reps with 30% of the weight you use for your ‘real’ sets. 2nd warm-up set: 10 reps with 50% of the weight you use for your ‘real’ sets. 3rd warm-up set: 4 reps with 70% of the weight you use for your ‘real’ sets. Remember, you only need to rest for a minute in between sets. Be patient. Don’t get discouraged if you’re building muscle slower than expected, it takes time. Log your exercise routine, diet, and any results. Keep track of your weight and body fat composition. Look at yourself in the mirror, can you see any changes? Write this down. Another thing you can do is track your body measurements such as hips, forearms, stomach, legs, etc. Finally, try to take a picture of yourself every time you make a journal entry. This is a great way to see any progress being made! If you’re new to muscle building, these techniques will help you grow muscles, but it takes time. Everyone grows muscle at a different pace, so don’t get discouraged if you aren’t seeing the results your friends are. Just remember to let your body recover because this is the prime time that your body grows muscle. Just as important is to allow your body and mind to get the proper amount of sleep. Proper diet and training three times a week are important to achieving results. There is so much to be gained from moving around and hitting the gym. By building muscle you can build resilience and health that will move as progress with age. Thus, this will help you recover better from injury or disease. So if you want to look and feel better as you age, you can’t go wrong with building some muscle.